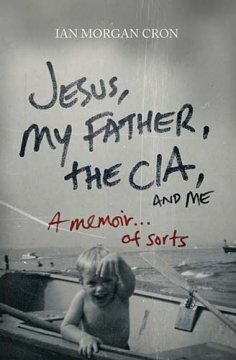 Jesus, My Father, The CIA, and Me by Ian Cron…A memoir of sorts is an autobiography of Ian’s life consisting of surviving childhood with an abusive and alcoholic father, who happens to be in the CIA, dealing with his own alcoholic tendencies and finding Jesus in the process. This book reveals that overcoming obstacles that may seem impossible can happen. Faith and positive influence from Nanny, Christian friends and mentors seem to play an important role in Ian’s life. This book captivates me. Never once did I find myself bored. A memorable story whether true or fiction for me is leaving me wanting to know more, and Ian did just that. The author inspires others to greatness. This book would be great for parents, especially those who may not have had the best relationship with their parents. It shows that a relationship gone wrong in the past does not make you into who you are today. Words can’t describe how much I enjoyed reading this book. Great summer read.